Over the past couple of weeks I have steered away from task 1 as I awaited the decision to purchase the necessary software. 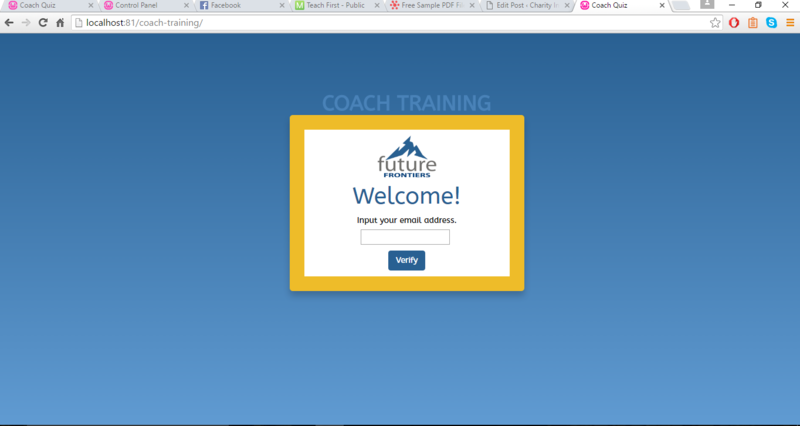 Instead, I have been working on creating an induction quiz for new coaches to complete as part of their training. It’s a fairly simple quiz. 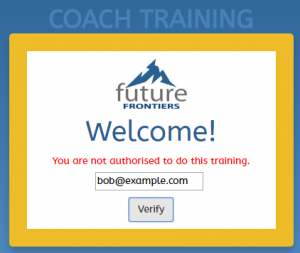 Coaches are verified using their email and simply cannot move on until they get a question correct. At the end, the completion of the quiz is logged so future frontiers can keep track of who has completed it. 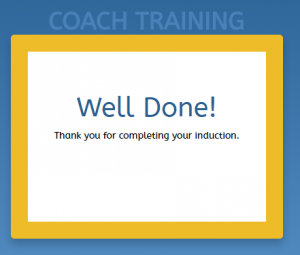 If you aren’t authorised to complete the training, you will see this message. 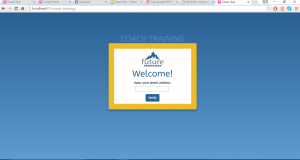 Names are stored alongside the email addresses to give a personalised greeting. 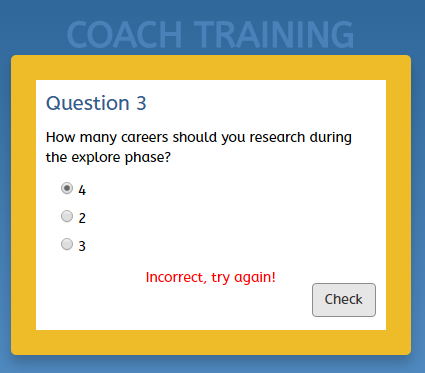 A user can’t move on until their answer is correct. Once the question is answered correctly, the next button appears. When it’s finally over, the coaches will see this well deserved ‘well done’ message. But all this is pretty useless unless somebody can keep track of who has done the quiz! That’s where the control page comes in. 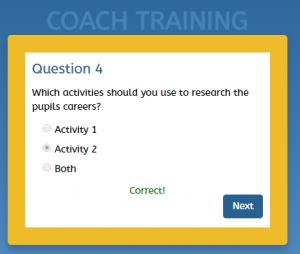 On this page you can see a list of all of the coaches who have been asked to do the quiz and whether they have completed it or not. As you can see, all coaches have an email address and full name, giving me the ability to make the personalised greeting message shown above. I’d like to add more functionality to the control panel. 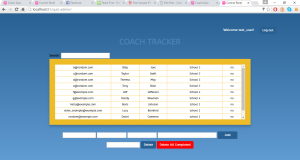 For example, being able to add or remove questions, or being able to ‘undo’ a deleted coach. Alas, this project has been forced to be put on pause while I work on task 1 again.